Dutchpro is one of the pioneers (“old school of Amsterdam”) and still the sole company & supplier from nutrients founded and based in Amsterdam. 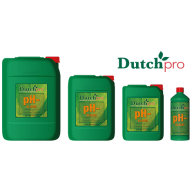 More than 30 years ago they started to develop nutrients, designed a complete line of nutrients that met all demands and could fulfill all wishes of the modern grower. After small scale production they went commercial and nowadays have award winning products which are available nationwide in most European countries, USA & Canada. The demand for their user friendly product line increased enormously in a very short time and is at present one of the strongest upcoming brands. We are convinced that you will appreciate getting a better end result with a much lower investment and the use of fewer bottles. ORIGINAL BLOOM SOIL/AARDE A+B Complete “bloom” feed purposely designed for soil. This product has all of the essential macro and micro growth nutrients necessary for exuberant bloom. 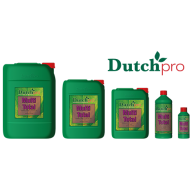 Fertilizer use: per 100 litre water between 200 and 300 ml. Original Bloom Soil dependant on the desired EC lev.. ORIGINAL GROW SOIL/AARDE A+B Complete “grow” feed purposely designed for soil. This product has all of the essential macro and micro growth nutrients necessary for exuberant growth on soil. 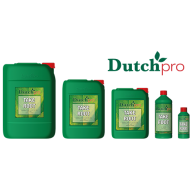 Fertilizer use: per 100 litre water between 200 and 300 ml. Original Grow Soil dependant on the desired ..
​ORIGINAL BLOOM HYDRO/COCOS A+B Complete fertilizer on the basis of several NPK components. This product has all essential macro and micro growth nutrients necessary for exuberant bloom. Fertilizer use: per 100 liter water between 250 and 350 ml Original Bloom, dependant on the desired EC level. .. ORIGINAL GROW HYDRO/COCOS A+B Complete fertilizer on the basis of several NPK components. This product has all essential macro and micro growth nutrients necessary for exuberant growth. 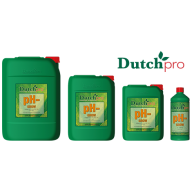 Fertilizer use: per 100 liter water between 250 and 350 ml Original Bloom, dependant on the desired EC l.. Explode Explode is a brilliant bloom stimulator that delivers precious nutrients and minerals to your plants throughout the flowering stage. Consisting of micronutrients, vitamins and acids, it does exactly as the name suggests – explosively driving flowering growth and bigger yields in addition ..